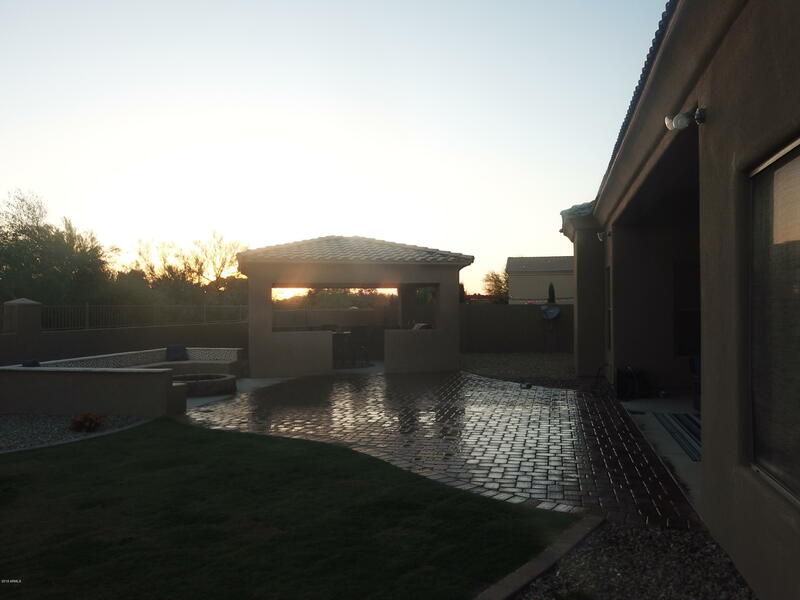 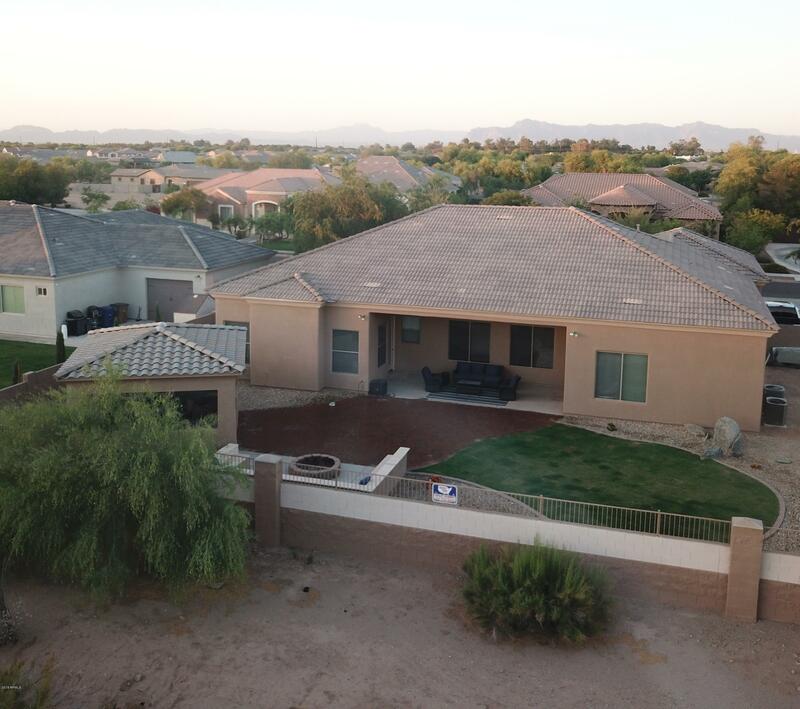 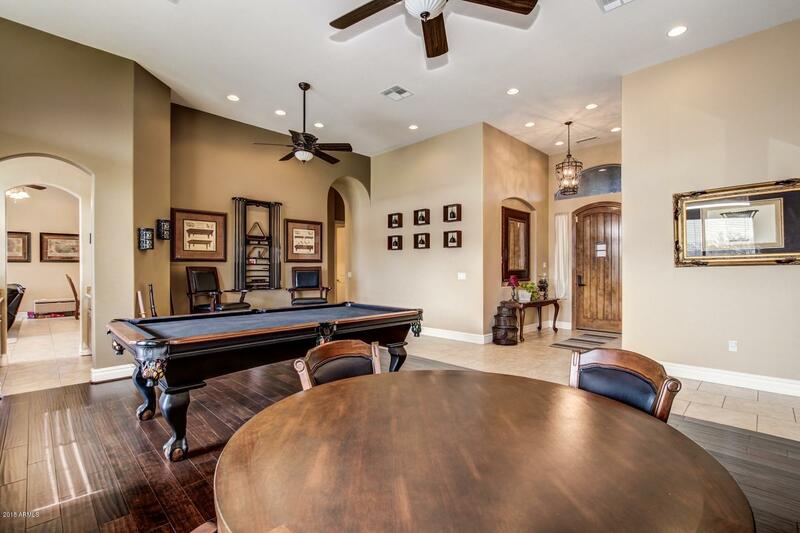 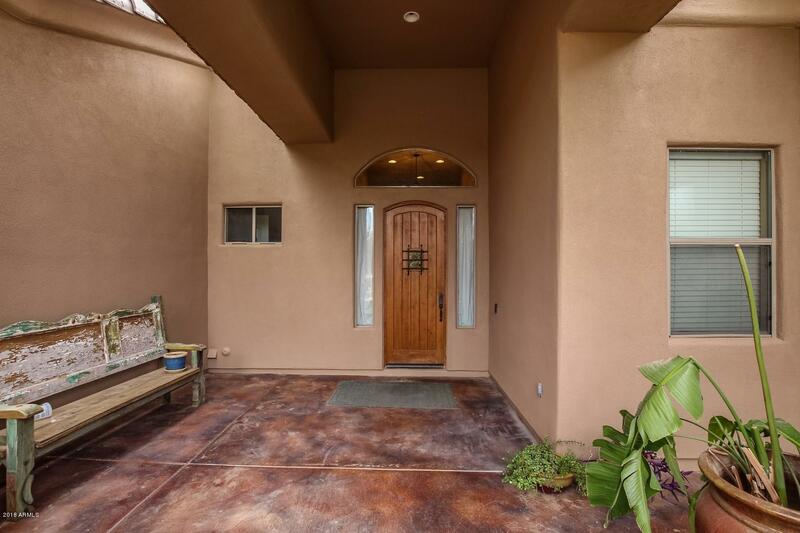 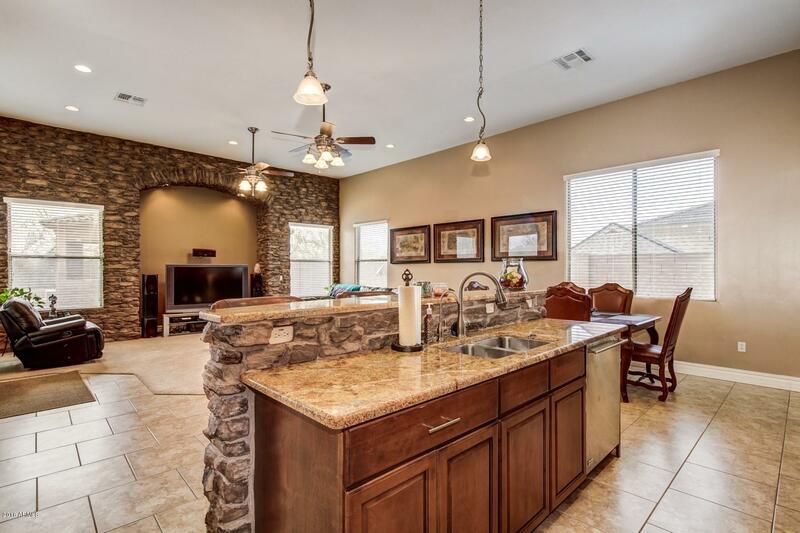 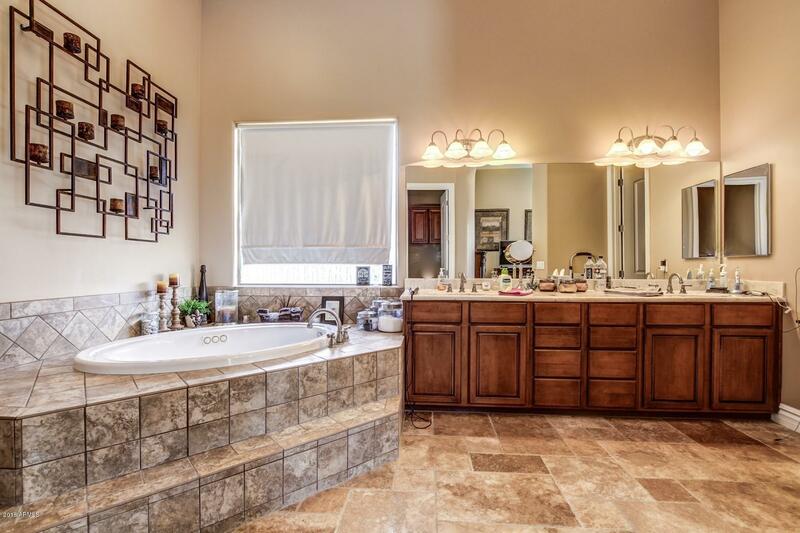 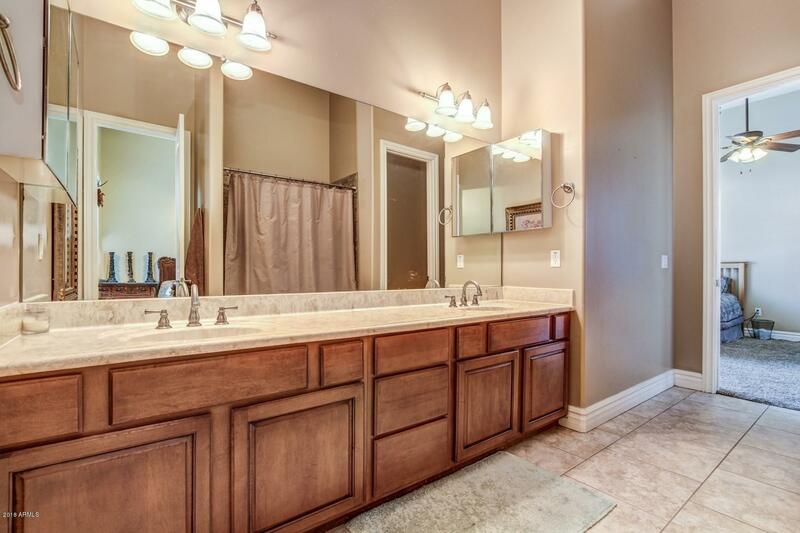 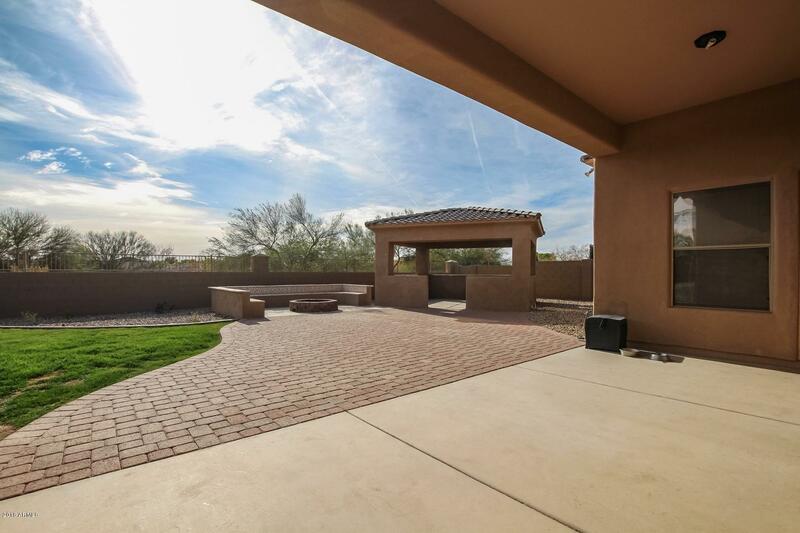 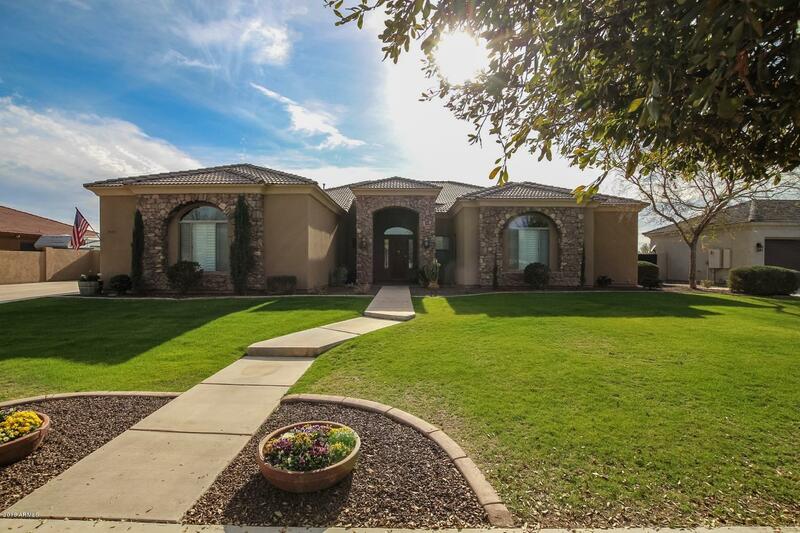 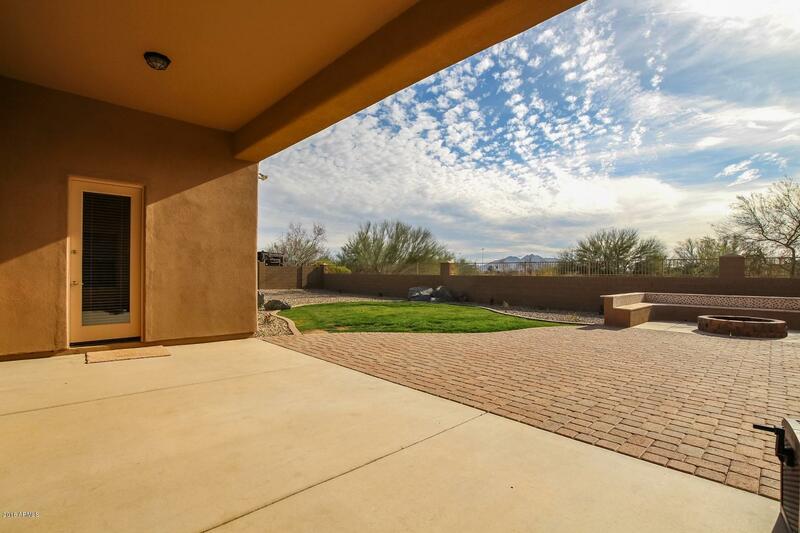 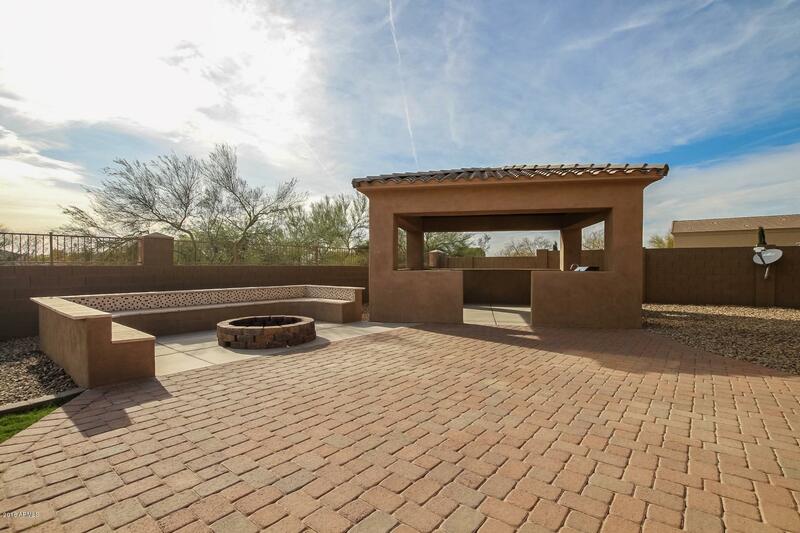 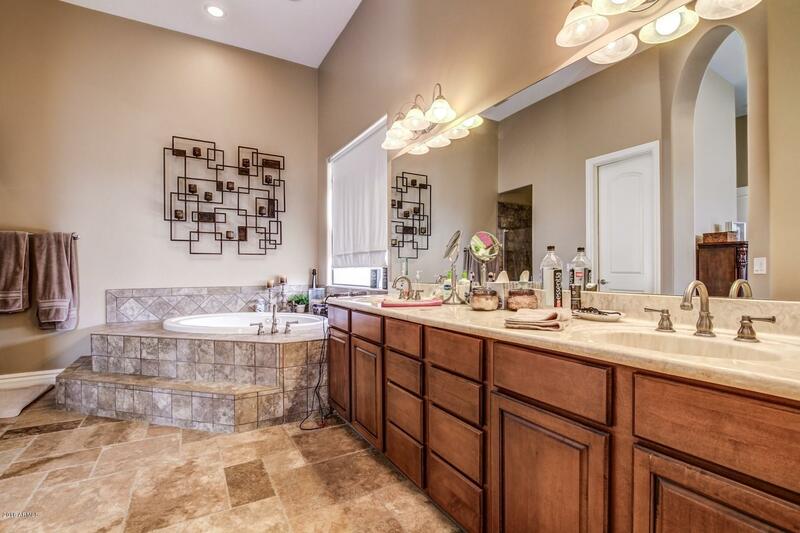 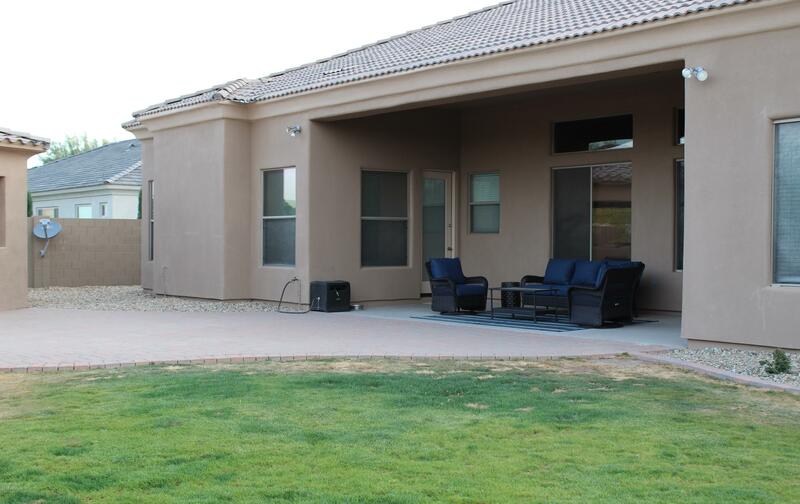 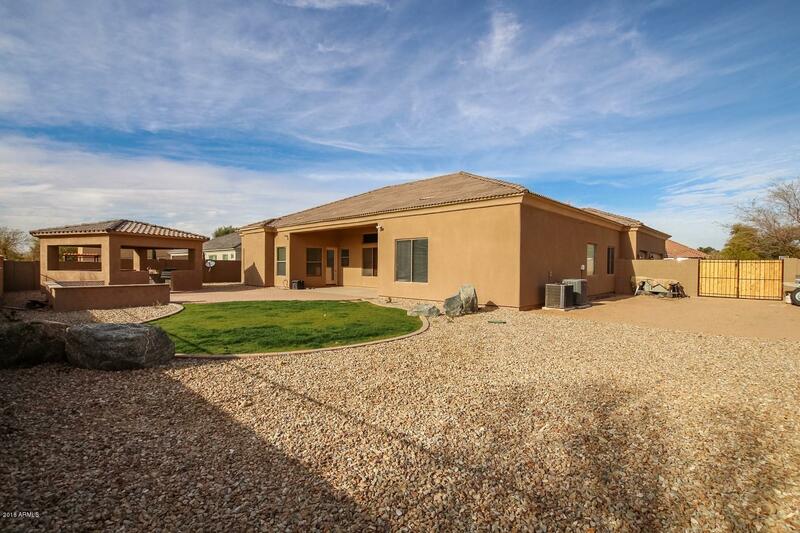 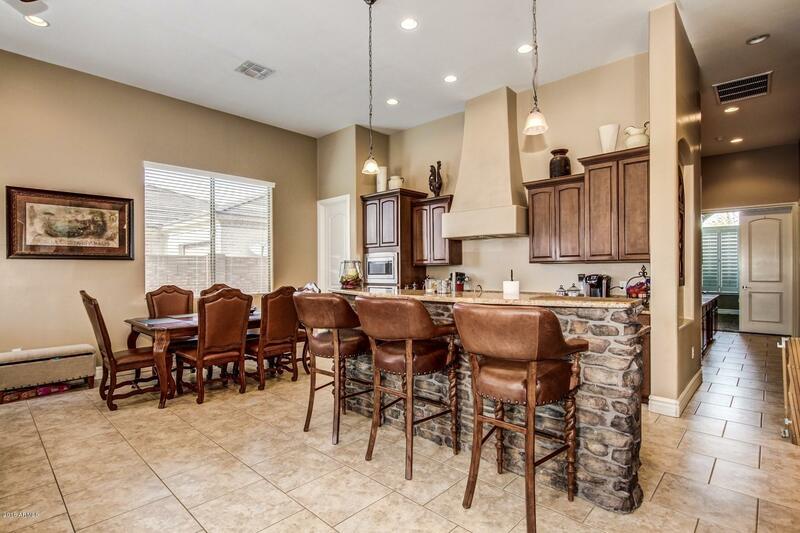 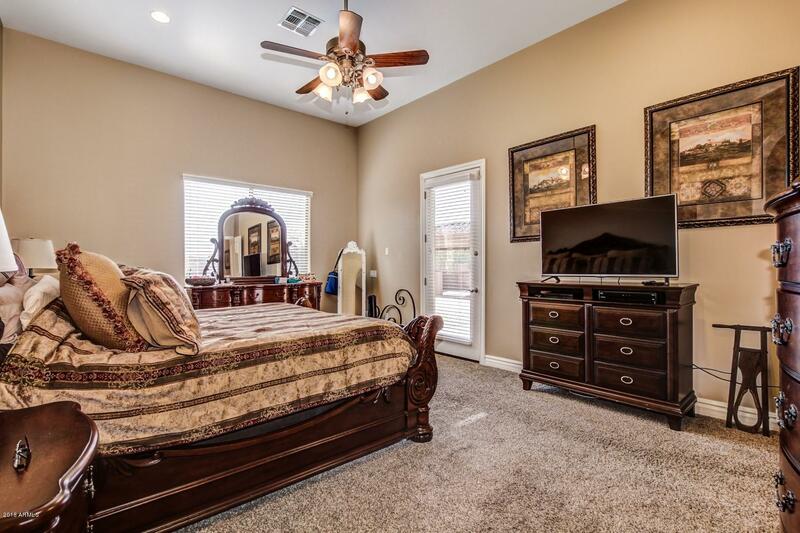 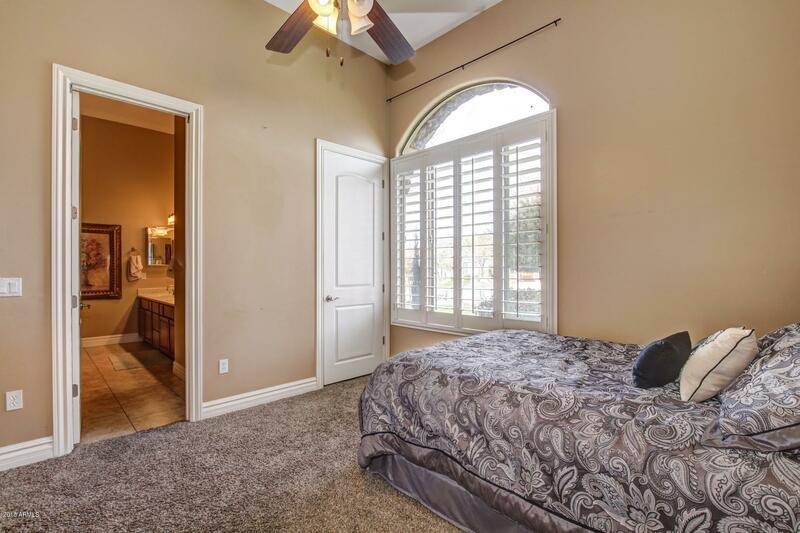 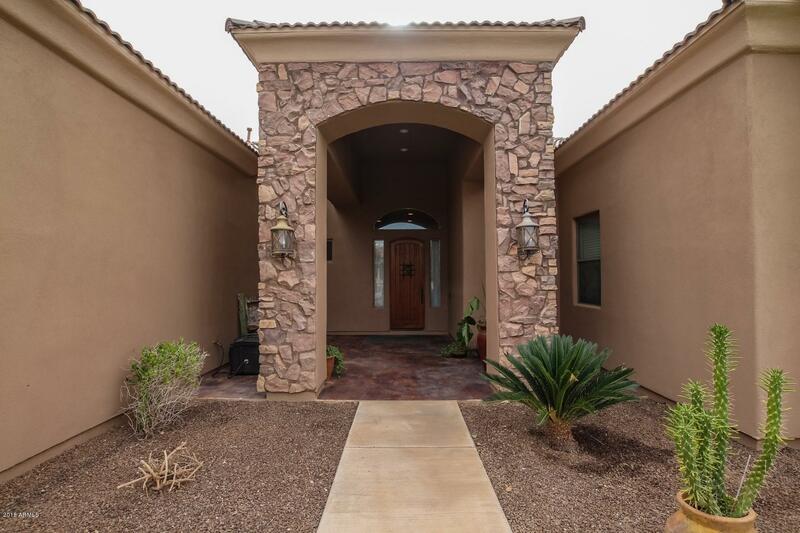 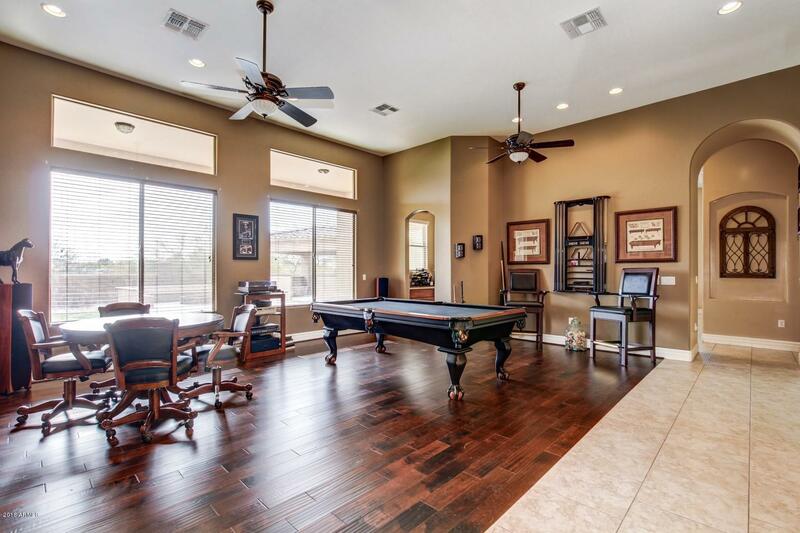 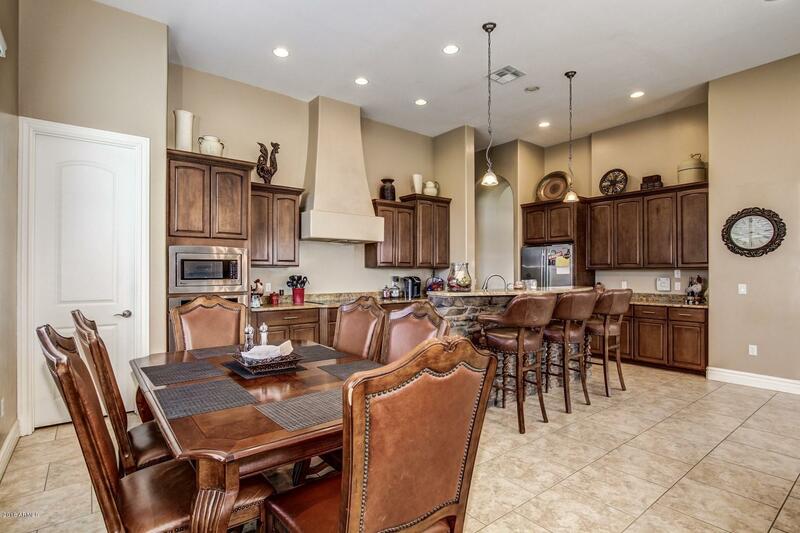 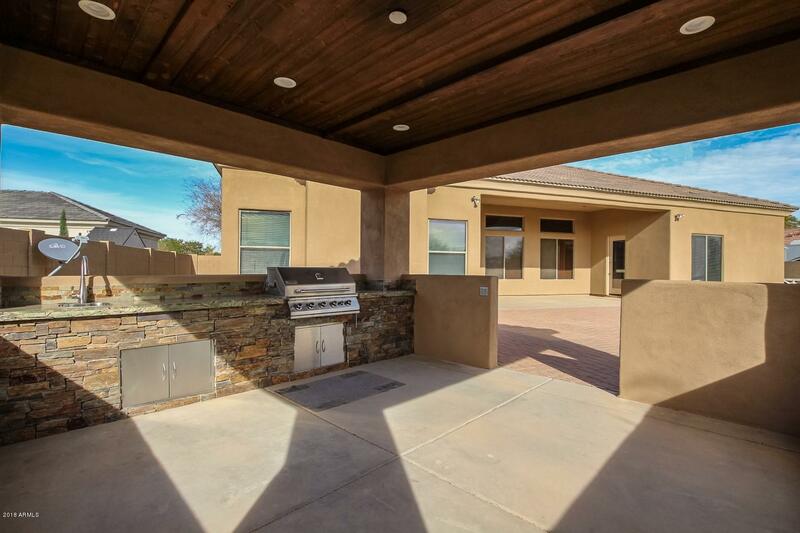 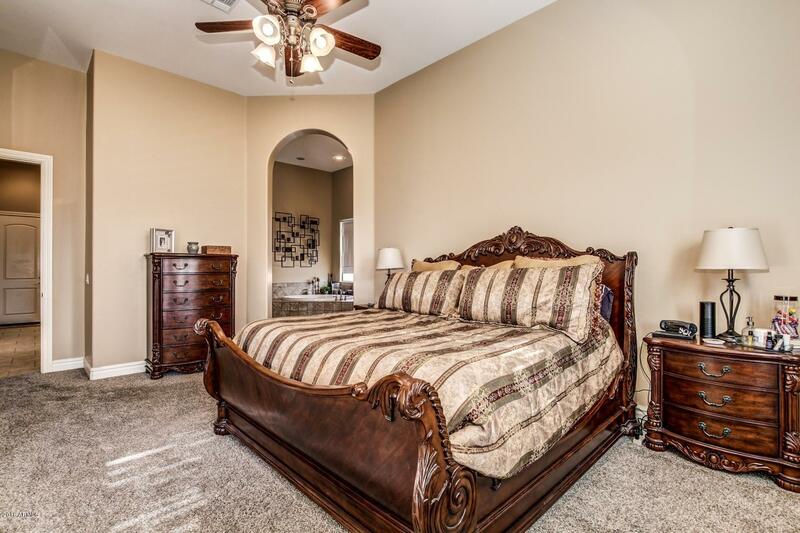 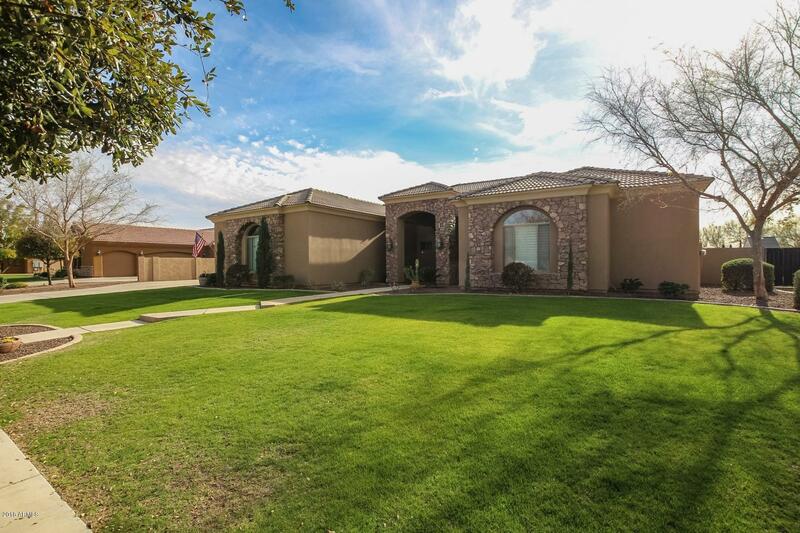 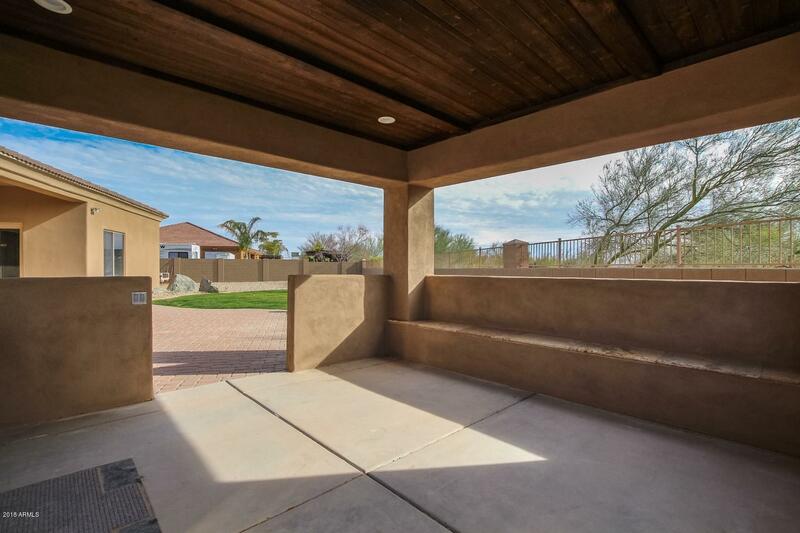 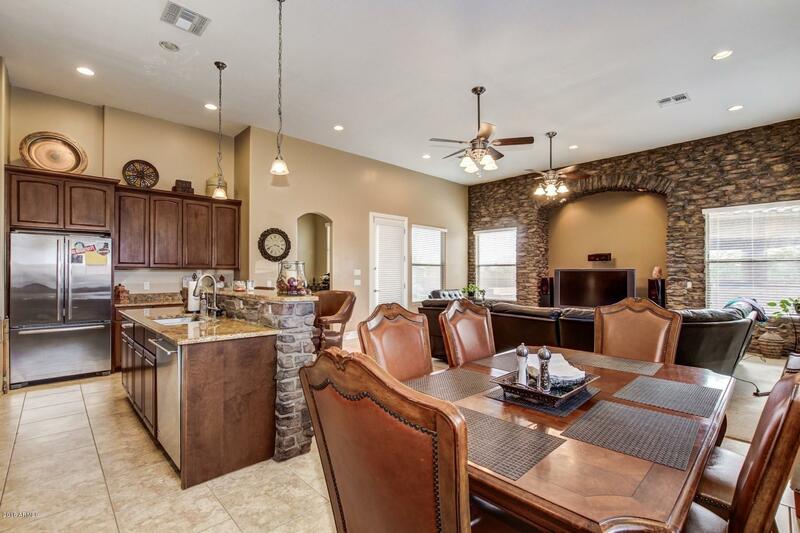 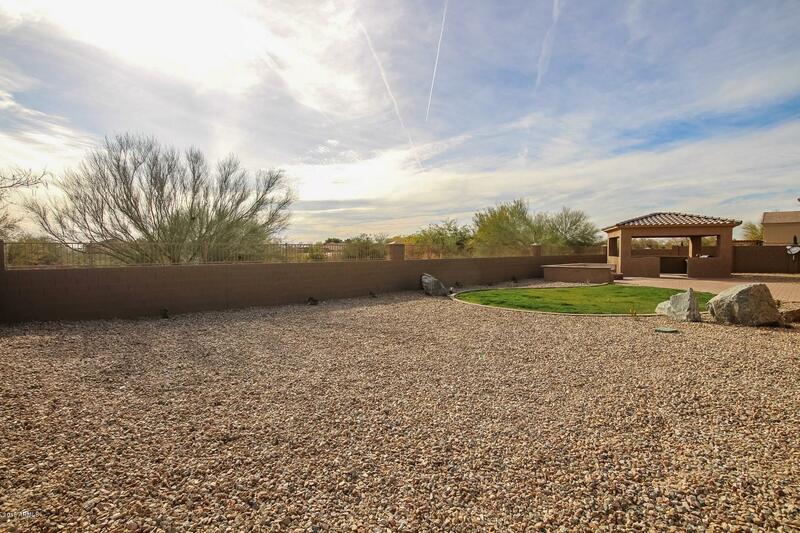 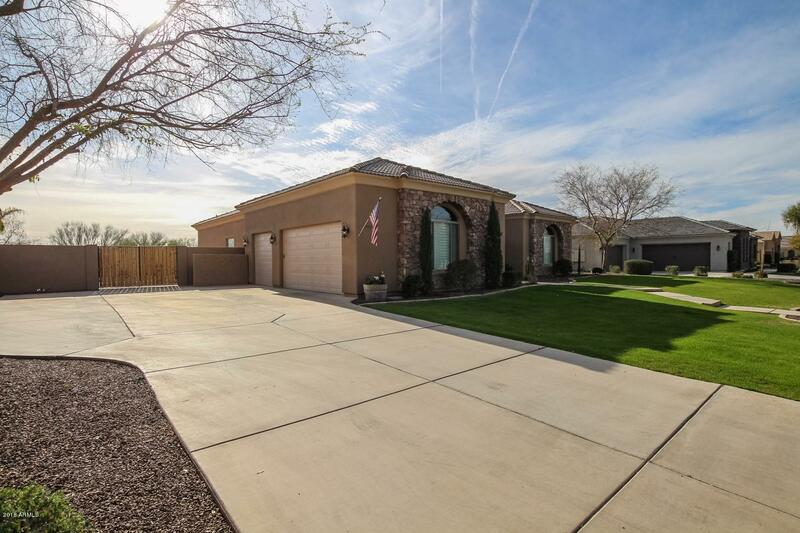 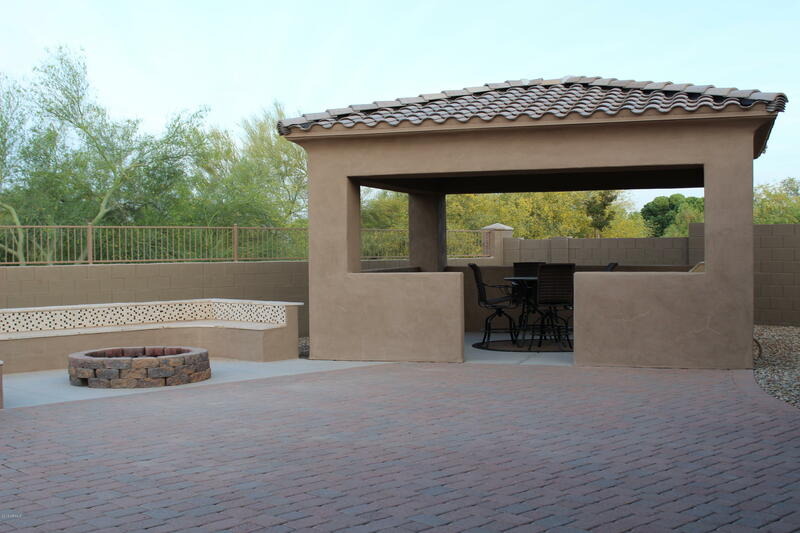 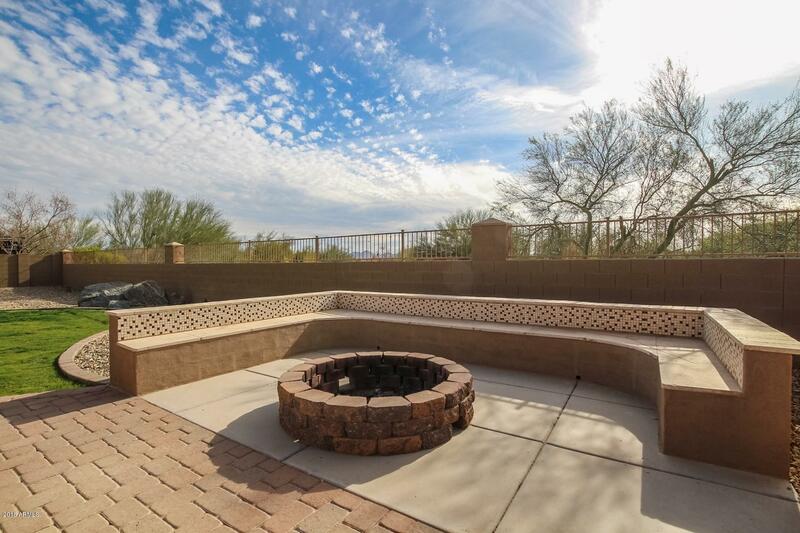 Gorgeous custom built home, on a tree lined street, that backs to the natural arroyo of Queen Creek Wash (QCW). 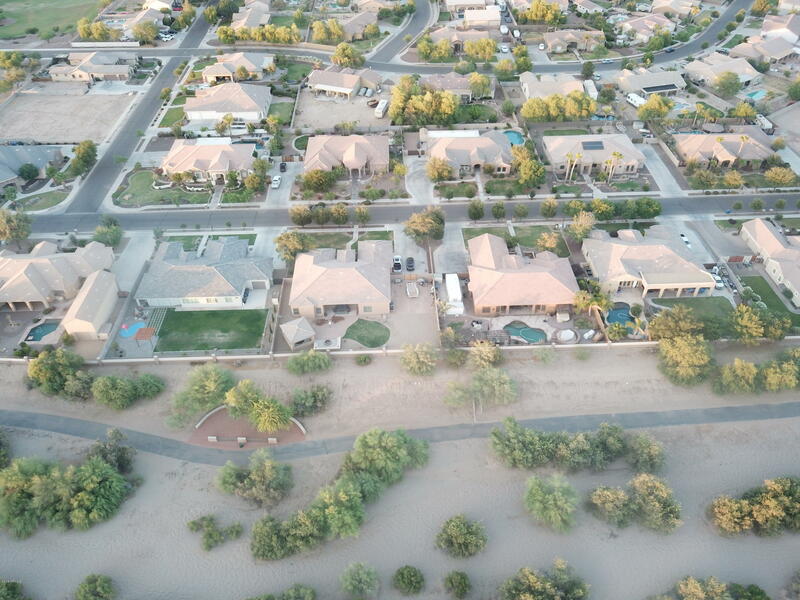 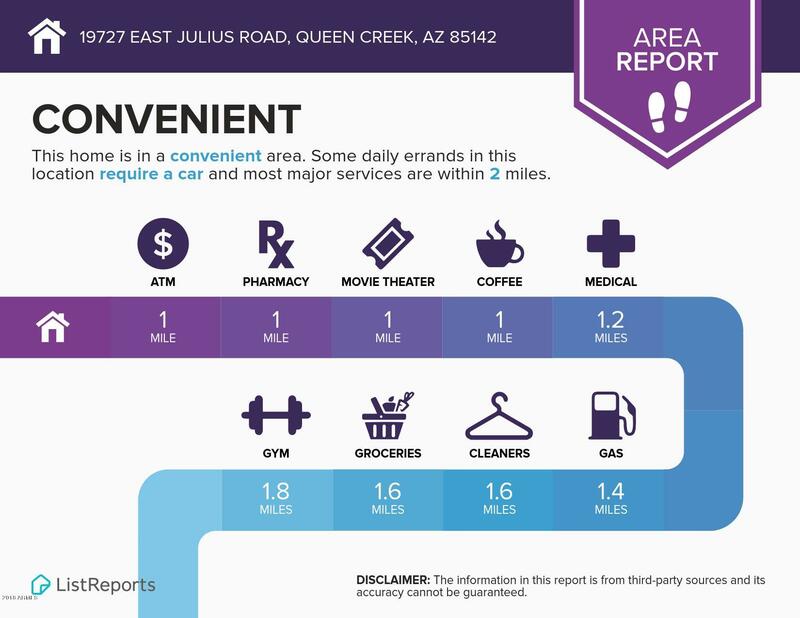 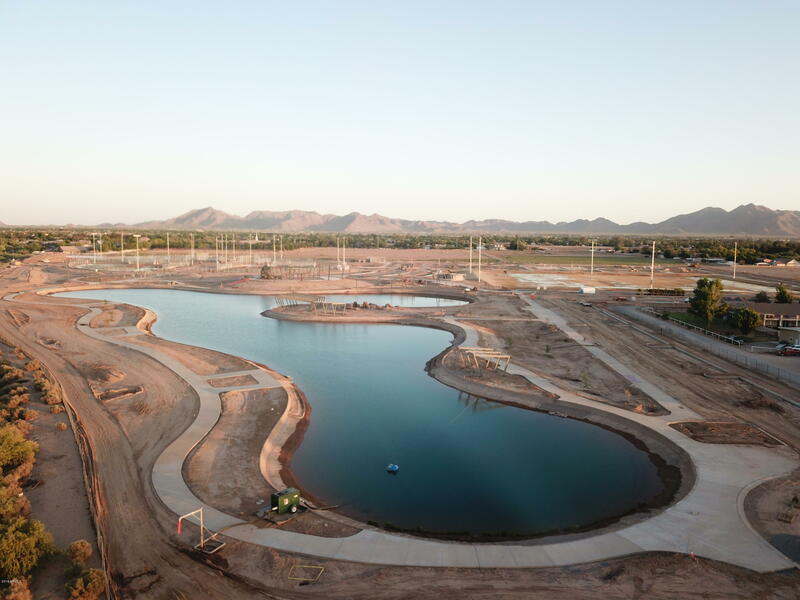 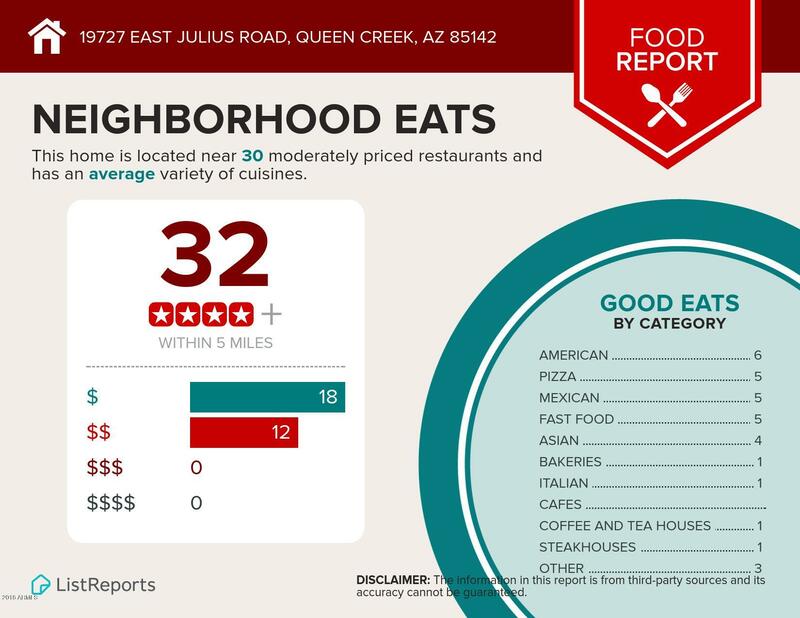 QCW is a multi-use trail system that stretches 11 miles through Queen Creek. 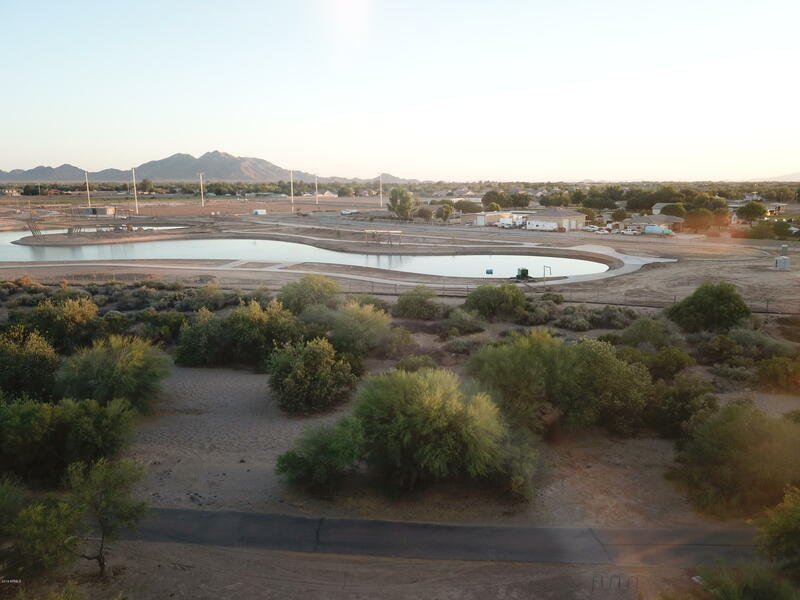 It provides an open trail system great for hiking, biking, walking, horses and dogs! 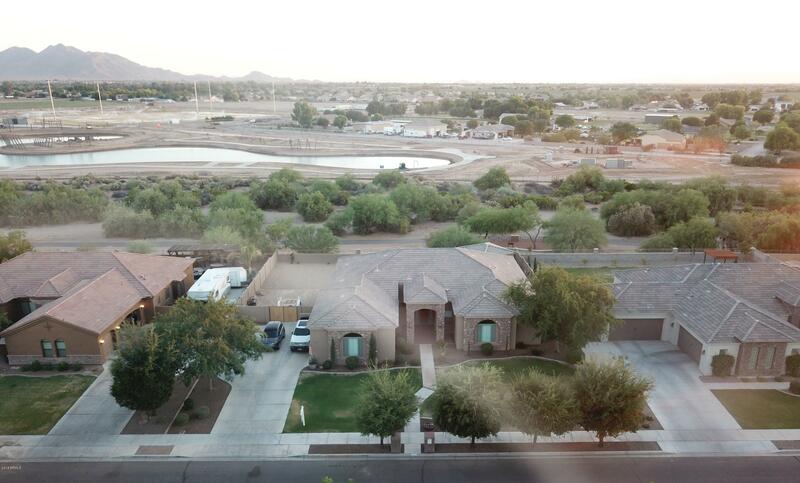 (No motorized vehicles.) 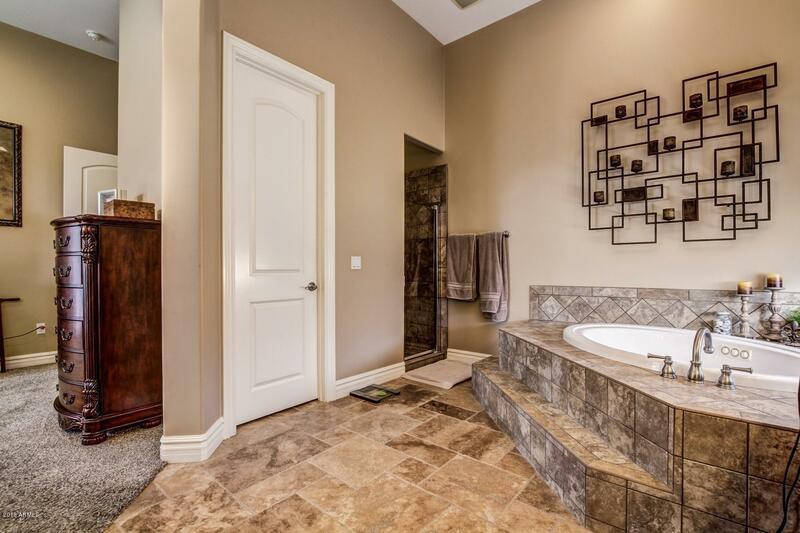 This custom home sits on nearly a half acre lot backing to QCW, providing you wonderful privacy and NO homes behind you! 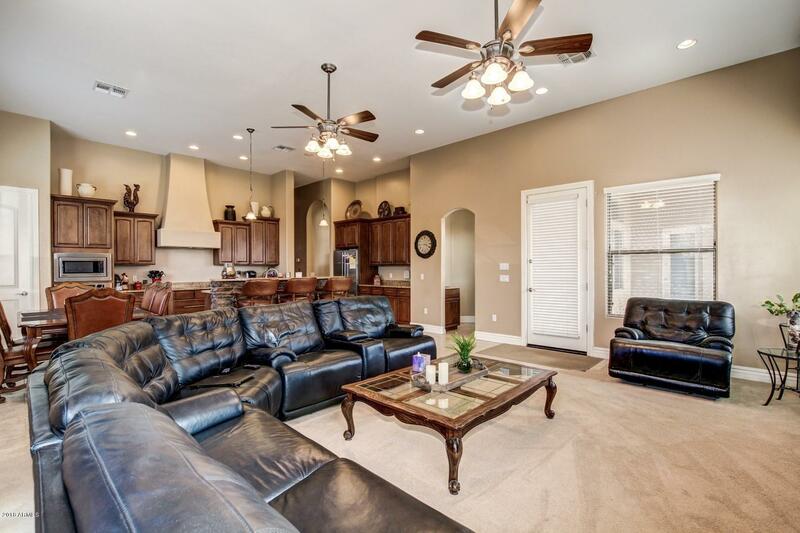 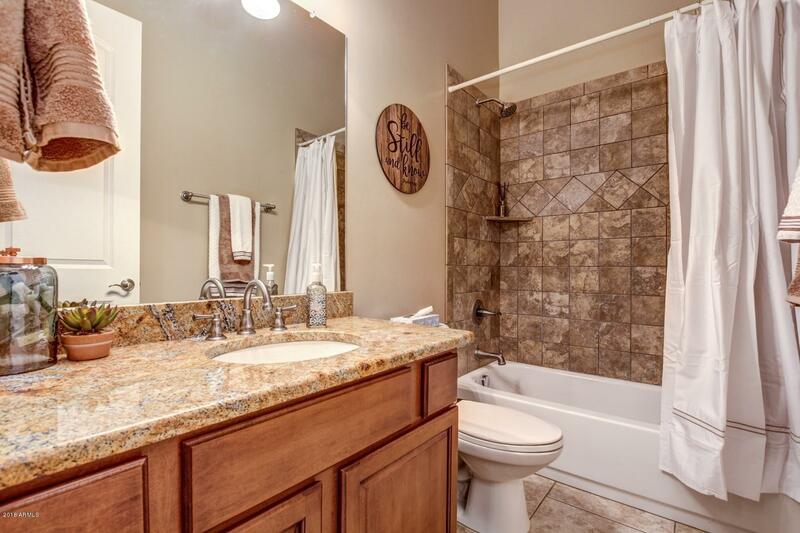 5 bedrooms / 3 baths split floorplan is all on one level, no steps! 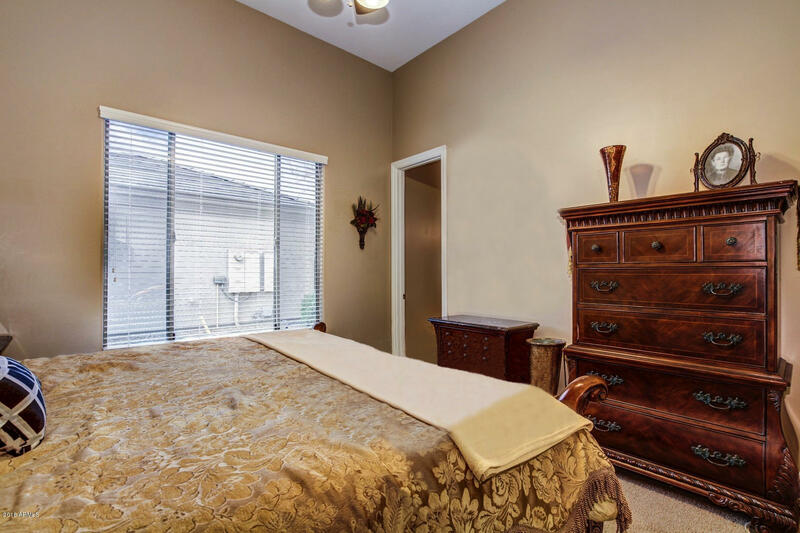 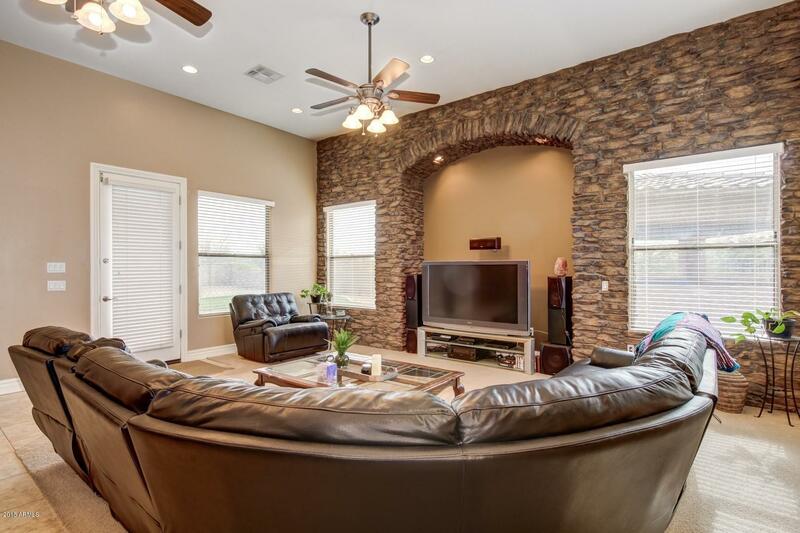 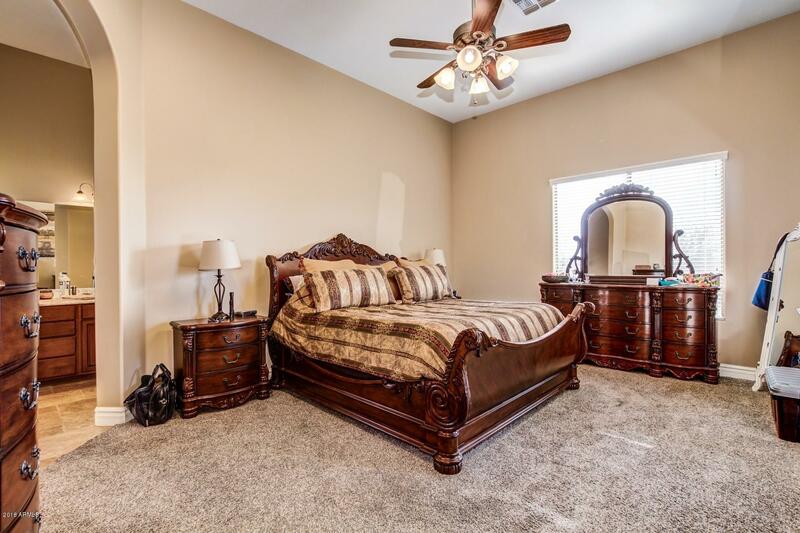 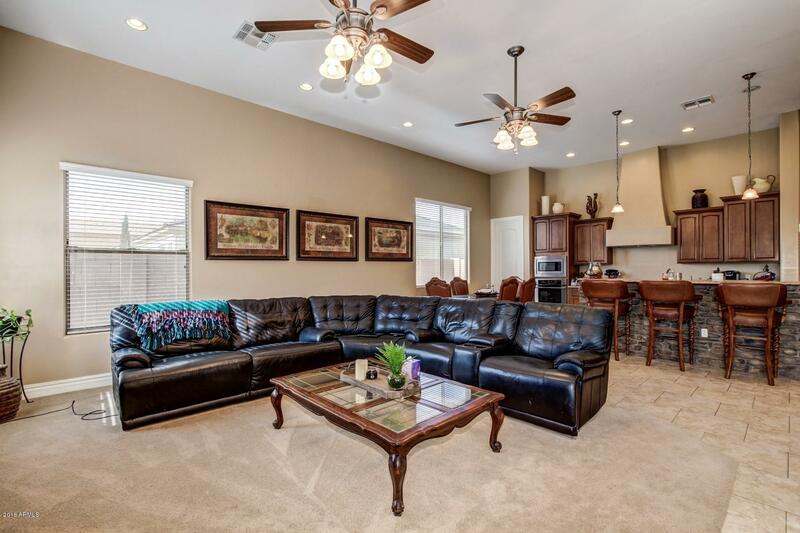 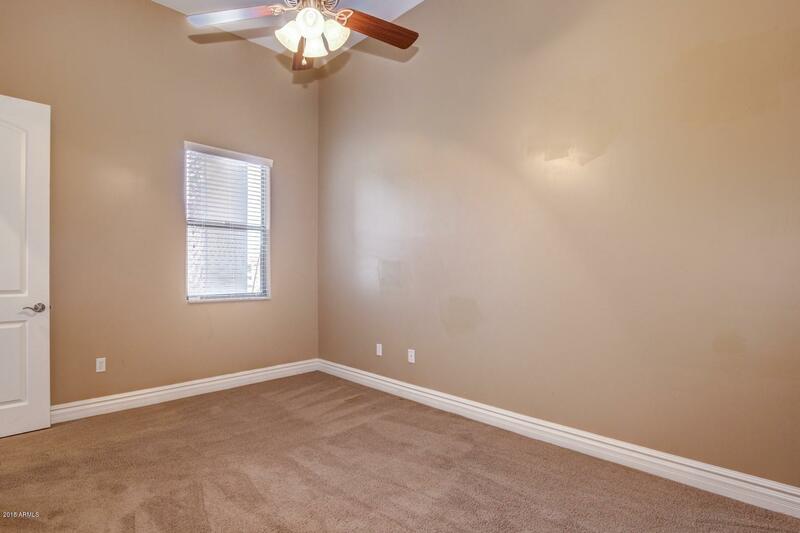 Open floorplan with a formal living room and formal dining room, both with real hardwood floors, that are currently used as a game room setting. 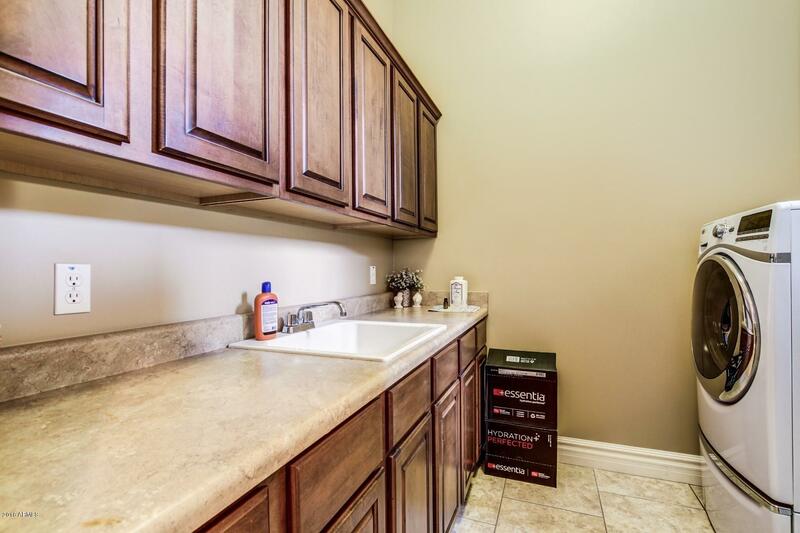 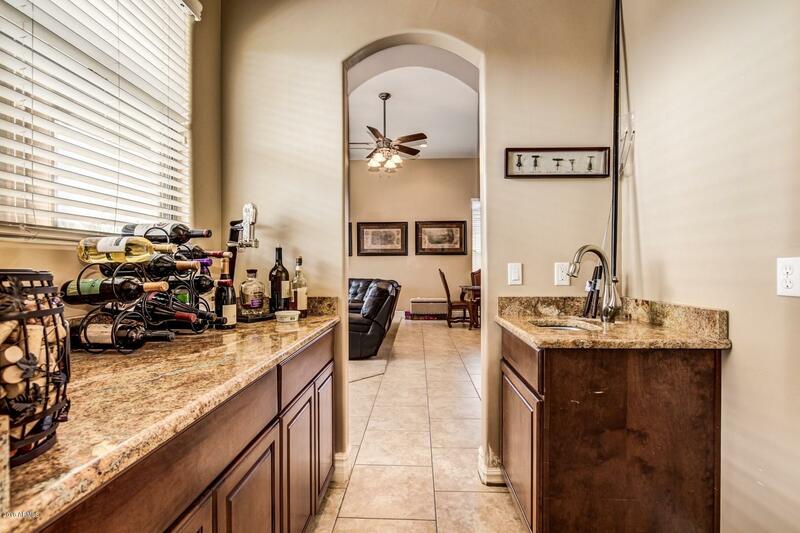 Large eat-in kitchen with stainless appliances, custom cabinetry with crown molding, a walk-in pantry, granite countertops and an island with breakfast bar.